I was telling you about restic the other day, and I demonstrated using its rest-server for storage. I had shortly looked at minio, but Alexander mentioned a few possibilities I’d overlooked, so here goes. Minio is an Open Source, Amazon S3-compatible, distributed object storage server, which is basically a mouthful to say it stores photos, videos, containers, virtual machines, log files or basically any “blob” of data. It also stores backups, because restic knows how to handle a Minio backend, and it can place its encrypted backups therein. 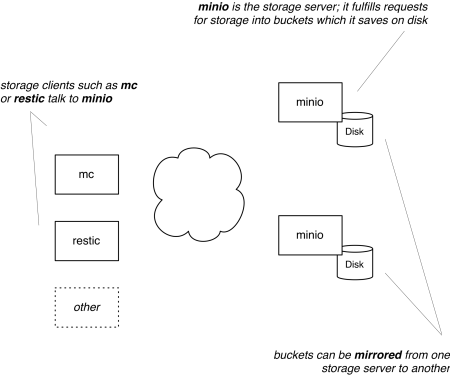 The minio storage server is designed to be minimal, and as far as I’m concerned it is: a single statically-linked Go application containing all I need to set up a storage server, dependencies included. 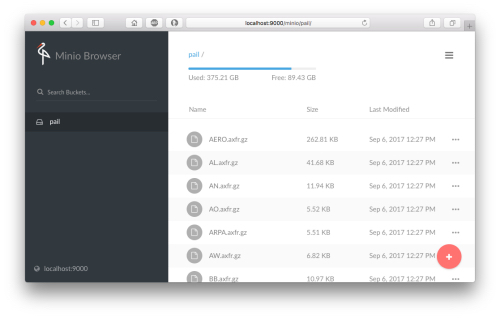 I downloaded a version for the architecture of my NAS, and launched it. With minio I can also pool multiple drives into a single object storage server, and it supports things like notification of changes in buckets using different targets (AMQP, MQTT, ElasticSearch, Redis, etc. 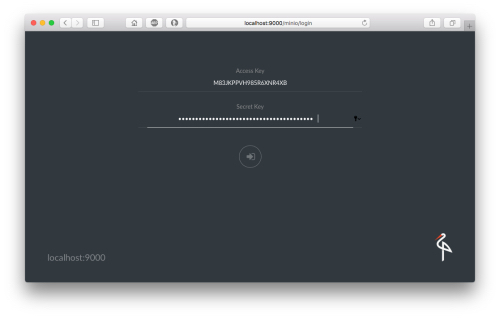 ; here’s an example payload I obtained over MQTT). Minio’s documentation is adequate though it took me a bit to detect the menu selector at the top of a page. That’s all I need to do to get an Amazon S3-compatible server running, and I will now use mc, and then restic on it. mc is the Minio client, and I recommend you keep a copy of its complete guide handy, even though the program has built-in help. It’s basically Minio’s answer to simple Unix commands like ls, cp, diff, etc., and it supports file systems as well as AWS-S3-type storage services like Minio. I’ll now copy what minio launch said above regarding “Command-line Access” and invoke mc with that command, simply changing the name of the repository to “demo”, and I then create something called a bucket. If you’re familiar with S3 you know all about buckets, if not: a Minio bucket is a container which holds data like a real-life bucket holds water. Or gin&tonic. I digress. You can name a bucket how you wish, e.g. “data” or “gin-tonic”. I seem to be dehydrating; brb. restic has built-in support for Minio, but as you can possibly imagine, handling the AWS-type settings in restic for different servers and repositories can become a bit of a pain. Note how the same backup program is used to actually perform the backup proper as well as to use any of restic’s commands. Alexander added a special monitor command which produces an icinga-type notification when a snapshot (backup) last happened for a particular host. Also note that these files all need to be protected as they contain Minio’s “AWS” keys and the restic repository password. Assuming this is all happening on your local network I don’t consider it a grave problem. Note that other than working with the buckets restic produces as a whole, there’s not much we can do with their content (aside from using restic, of course) because the organization within a bucket is restic’s job. In other words, an mb diff or similar will be pretty useless.